New York Special is a pure Diesel strain beginners in cannabis cultivation will love, because this 60% Sativa/40% Indica hybrid has a high resistance to mold and pests. The plants grow up to a height of roughly 1 meter. Reared in a grow-room the yield can amount to 400-450g/m². The THC-rich buds are ready for reaping after 9 weeks of flowering. 20% THC. New York Special is a pure Diesel strain created by crossing a male mutant NYCD with a female NYCD. This variety is not only an excellent choice for Diesel lovers, but also highly recommended to beginners in cannabis cultivation, because it boasts about a high resistance to mold and pests and is forgiving in regards to irrigation mistakes. New York Special grows up to a height of only about 1 meter, playing into the hands of all growers with limited space in the grow-room. 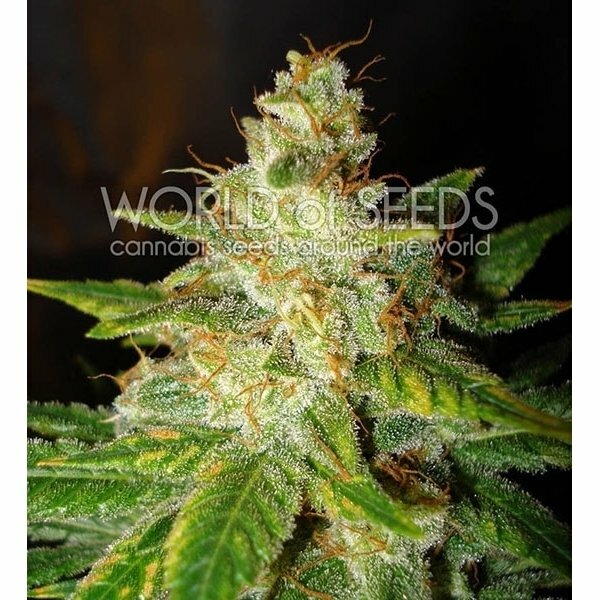 This 60% Sativa/40% Indica hybrid requires 9 weeks of flowering to produce a yield of 400-450g/m² - reared outdoors the plants are ready for the axe in mid/late October, with yields of 400-550 grams per plant. New York Special emanates an intense aroma and is not miserly when it comes to the cannabinoid production. 20% of the properly cured buds are pure THC and its effect can be felt almost instantly!